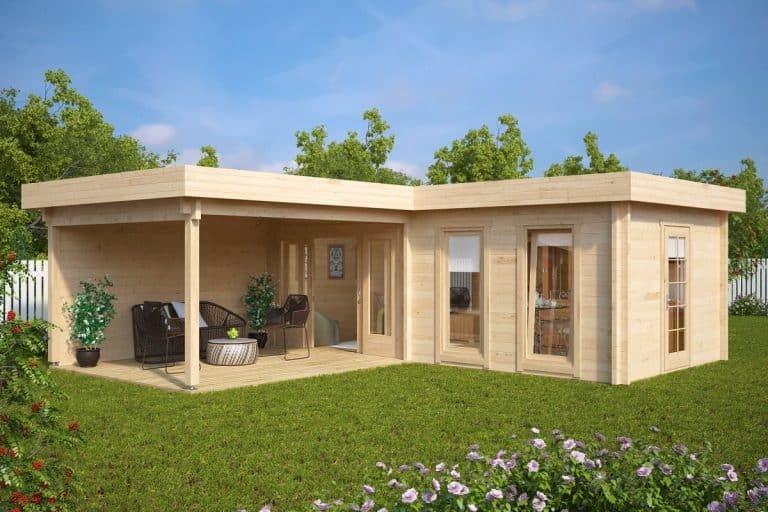 The Hansa Corner Deluxe Summer House is one of our largest garden buildings. 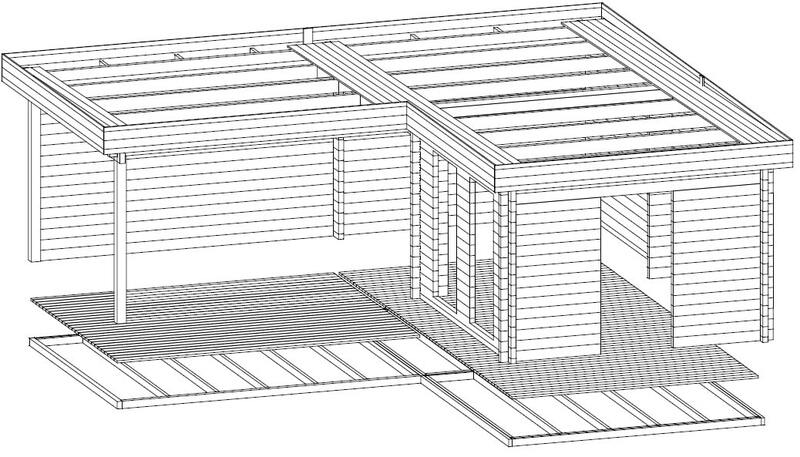 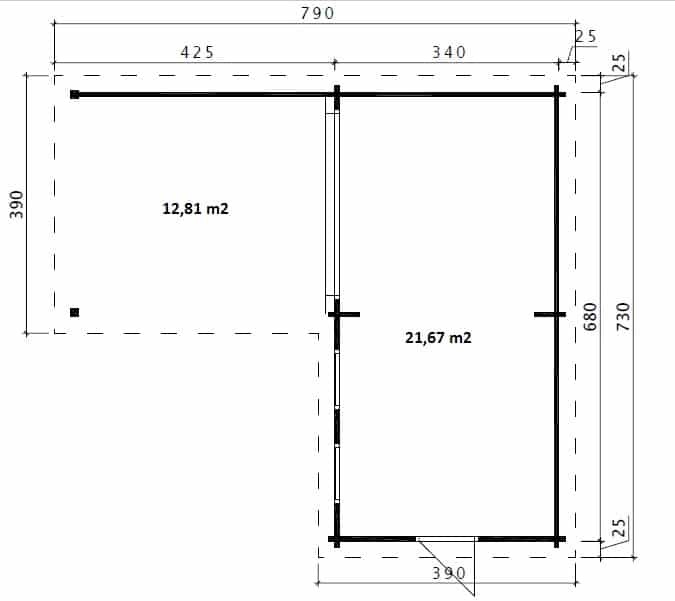 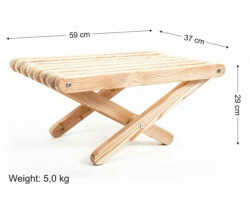 It has nearly 22m2 of space inside and a large 3 x 4m veranda, perfect for a hot tub or a BBQ shelter and outdoor dining area. 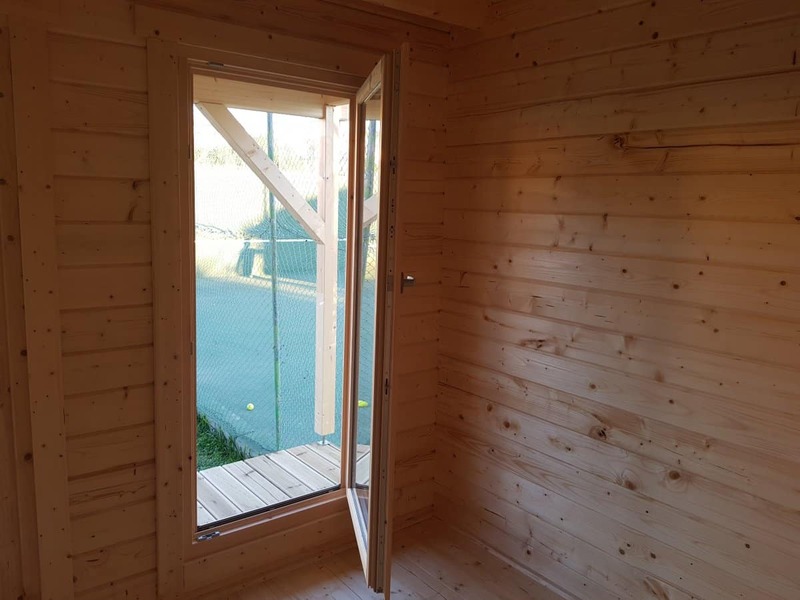 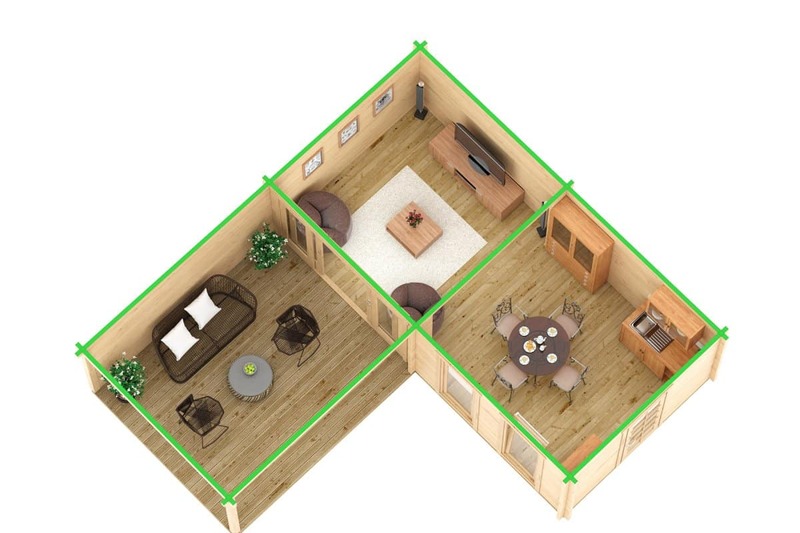 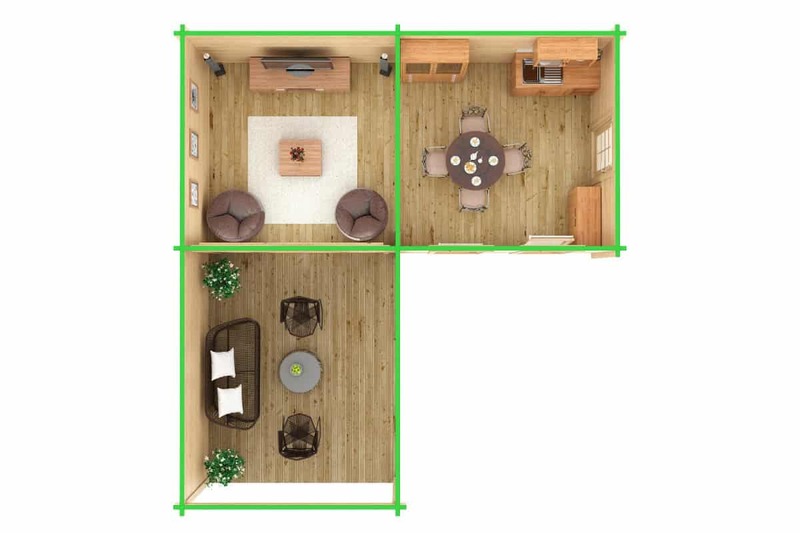 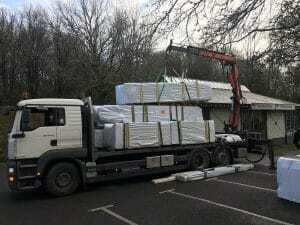 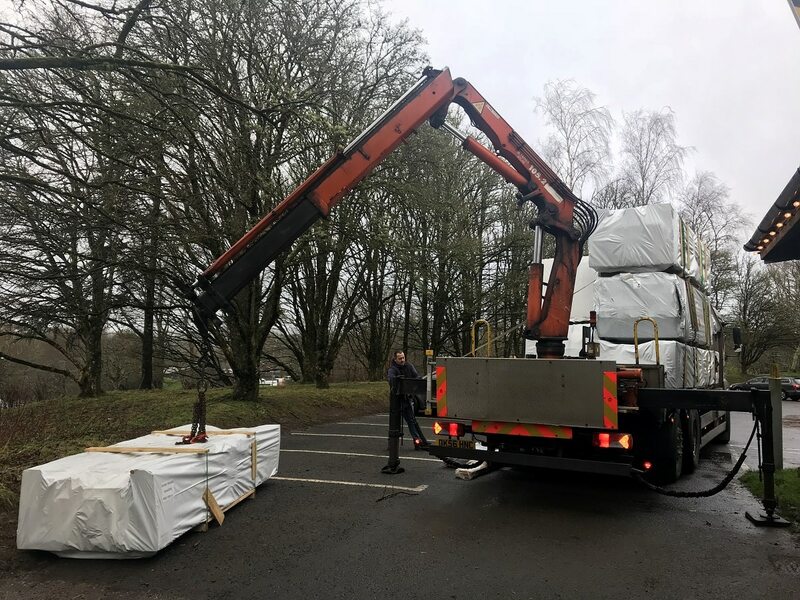 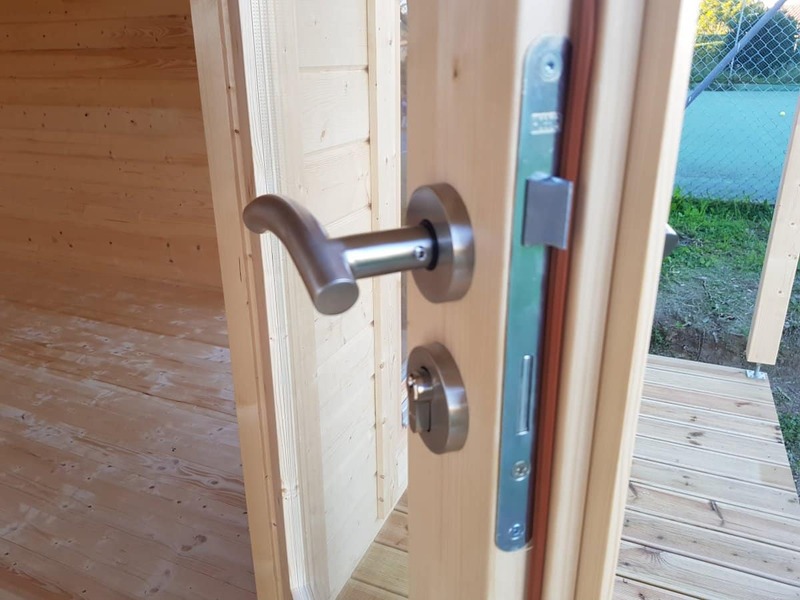 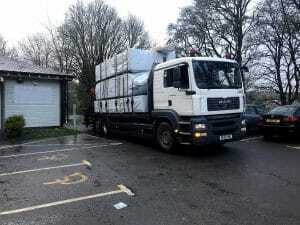 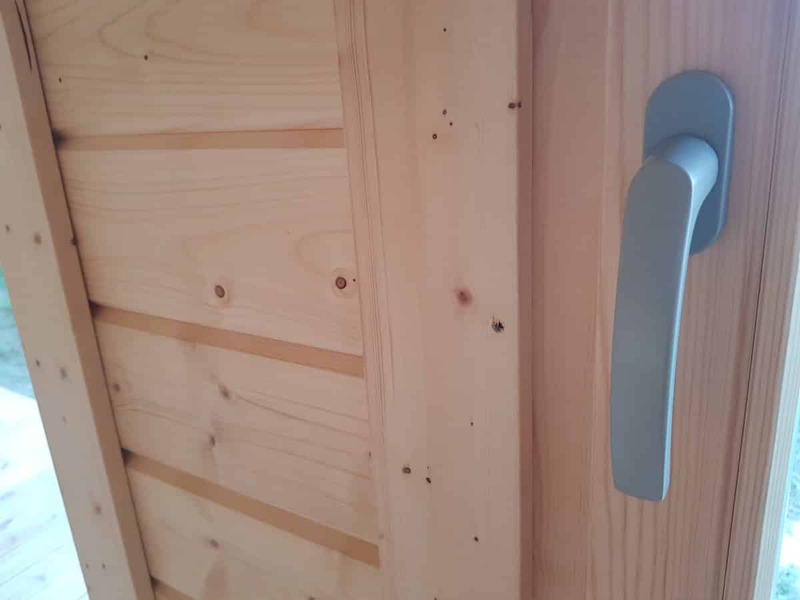 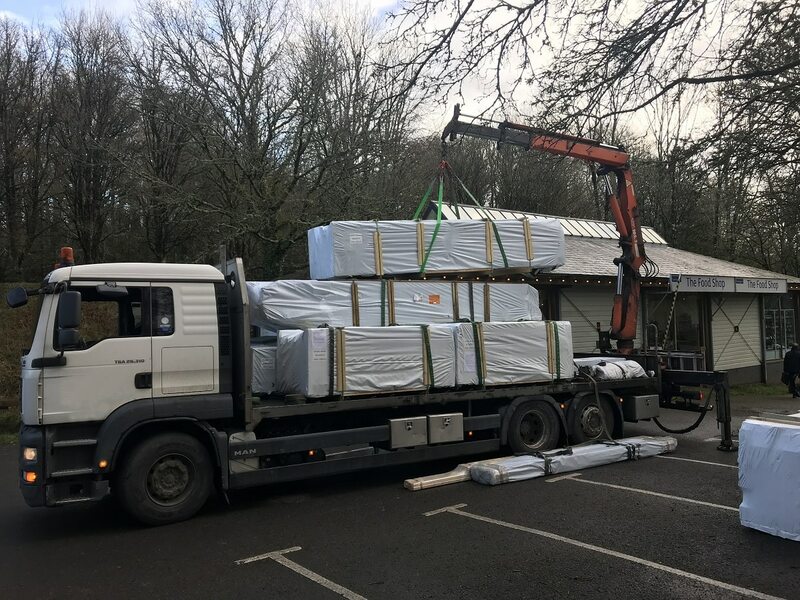 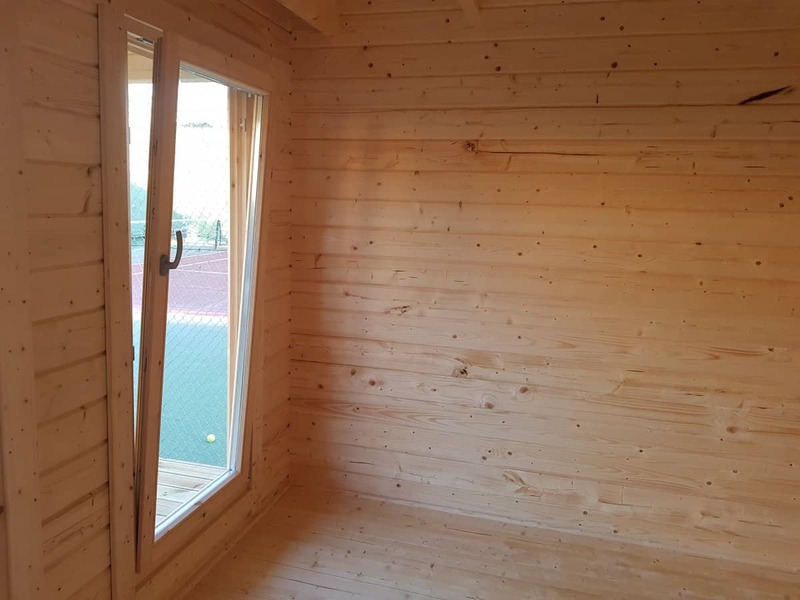 70mm wall thickness, 28mm floor boards, impregnated 28mm terrace boards, double glazed windows and doors as well as metal storm braces inserted throughout the entire wall in four corners are all standard features of this luxury garden log cabin.